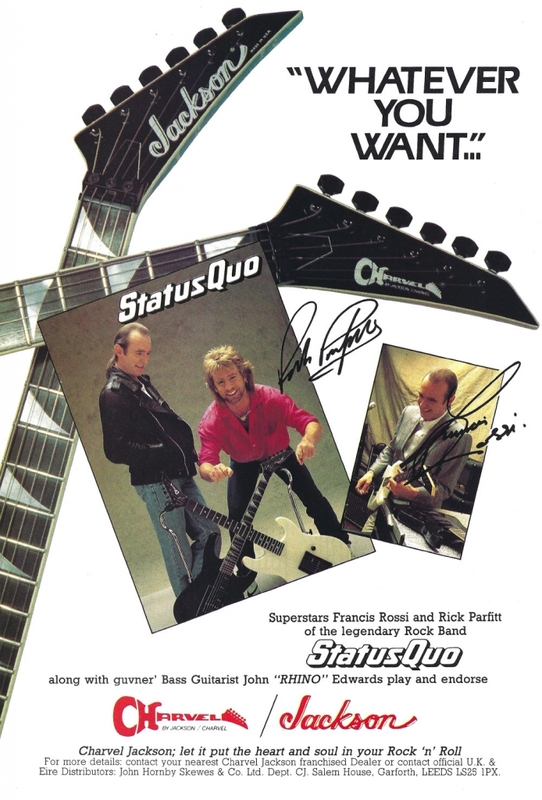 Although Status Quo were best known for using Fender Telecasters they endorsed and used Charvel guitars in 1988 when recording their album "Ain't Complaining". The guitars look like Model 2 & Model 6 but with a telecaster bridge - maybe these were custom made? For more details: contact your nearest Charvel Jackson franchised Dealer or contact official U.K. & Eire Distributors: John Hornby Skewes & Co. Ltd. Dept. CJ. Salem House, Garforth, LEEDS LS25 1PX.